TASMAC (Tamin Nadu State Marketing Corporation) is a state government run organization which is authorized to sell any alcoholic beverages through retail outlets. 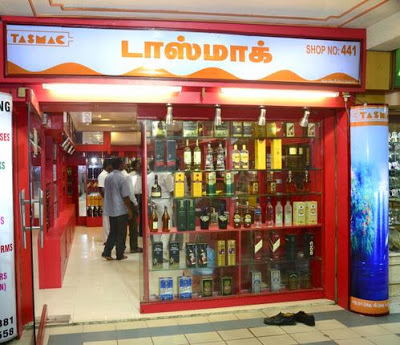 TASMAC runs two types of stores, one is the regular TASMAC shop which is the most common and then the Elite shop, which you can find only in few cities, which sells imported beer and liquor. TASMAC and Elite Shops Timing: TASMAC and Elite Shops are open on all days (including Sundays) between 12 noon to 10 PM. 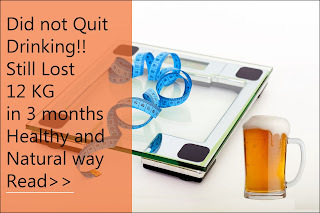 Like and share this page if you find this information helpful. You can click here for TASMAC and Elite shop updated price list. Common confusion days - I feel this list is more important than the holiday days itself. Hope this helps someone. TASMAC will be closed in April 16th to 18th and again on May 23rd due to General elections. New Year is not a Dry day. TASMAC will be open on New Year January 1st, 2019 (Tuesday). Pongal is not a Dry day. TASMAC will be open on Pongal January 14th, 2019 (Monday). Uzhavar Thirunal is not a Dry day. TASMAC will be open on Uzhavar Thirunal January 16th, 2019 (Wednesday). Telugu New Year, Ugadhi is not a Dry day. TASMAC will be open on New Year Appril 6th, 2019 (Saturday). Good Friday is not a Dry day. TASMAC will be open on Good Friday April 19th, 2019 (Friday). Annual accounts closing day is not a Dry day. TASMAC will be open on Annual accounts closing day April 1st, 2019 (Friday). Tamil New Year is not a Dry day. TASMAC will be open on Tamil New Year April 14th, 2019 (Sunday). Bakrid is not a Dry day. TASMAC will be open on Bakrid August 12th, 2019 (Monday). Krishna Jayanthi is not a Dry day. TASMAC will be open on Krishna Jayanthi August 24th, 2019 (Saturday). Muharram is not a Dry day. TASMAC will be open on Muharram September 10th, 2019 (Tuesday). Ayutha Pooja is not a Dry day. TASMAC will be open on Ayutha Pooja October 7th, 2019 (Monday). Vijaya Dasami is not a Dry day. TASMAC will be open on Vijaya Dasami October 8th, 2019 (Tuesday). Deepavali is not a Dry day. TASMAC will be open on Deepavali October 27th, 2019 (Sunday). Christmas is not a Dry day. TASMAC will be open on Christmas December 25th, 2019 (Tuesday). Martyrs' Day (Mahatma Gandhi's death anniversary): January 30, 2019 (Wednesday) - This was not part of the holiday calendar released by the government. This was a ruling by the Madras High Court (Madurai Branch) on 29/1/2019. THIS IS SOMETHING INTERESTING I FOUND. WHAT IS THE COMMON FISH USED IN MANY RESTAURANTS? CLICK HERE TO KNOW THE TRUTH. Innaikum leaveva bro. Thanks for sharing the details. Yaara kettu innaiku leave vittanga. All shop closing before 9.40pm after that black .The closing time they are not following in gowriwakkam 2shops near by. Opening the shop 12pm perfectly .